This product or book may have been distributed for review, this in no way affects my opinions or reviews.She's found the love of a lifetime, but there's a catch: the body she inhabits belongs to another. How much change can one soul endure? It would help if she knew what she was or even how such a thing was possible. The one thing she does know is that God has a sense of humor where she's concerned. Why else would He continue to place her in one host body after another without warning or a clear memory of previous switches? 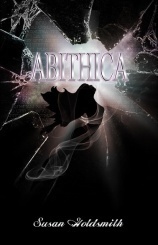 Abithica's responsibility is to repair her host's lives while they take a back seat. To ensure her survival and protection, she vows never to get attached, but this latest switch is different from the start. Abithica breaks all her own rules, and is left with a choice. What will happen if she refuses to leave her host's body? Will love be her downfall or her salvation? Abithica has an unusual tale to tell. She is sent from body to body, acting as a parasite-or so she believes. When Abithica finds herself in Sidney's body, the first temptation comes about in the form of Lane. The reader will be rooting for Lane and Abithica's relationship, though the odds are highly stacked against them. Abithica as a character was great to get to know. The reader may want to shake some confidence into her, but other than that her other qualities are intriguing and mostly good. Lane is just as good a person. He makes it easy for Abithica to forget that the body she resides in is not her own. The secondary characters are not focused upon quite as much, but they do help to round out the novel. The events are fast-paced and original. Abithica's main journey concerns love. She experience normal human experiences. Her thoughts are easily accessible by the reader, leading to a close connection between her and the reader. The ending was perfect, the author could not have chosen a better way to resolve everything. This book is highly recommended to young adults/adults. Oh wow this sounds fascinating! It reminds me a bit of A Certain Slant of Light too. Awesome review Krystal! Thank you! I loved A Certain Slant of Light, great comparison!